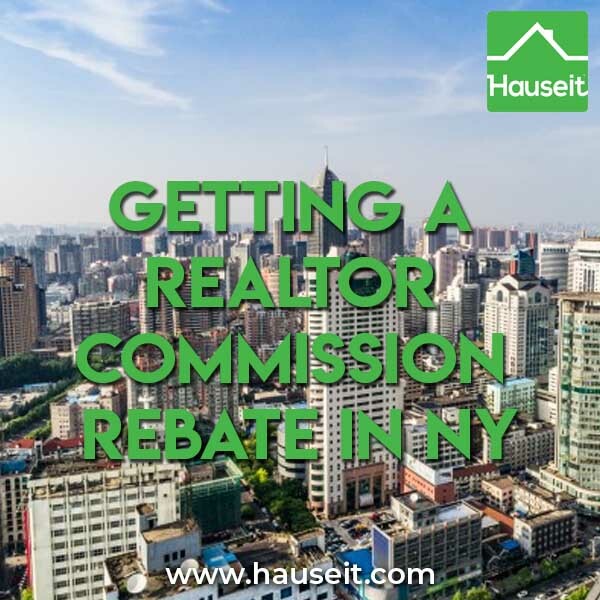 The process of getting a Realtor commission rebate in NY begins with signing up with a local Realtor who has already agreed to discreetly provide you with a home buyer rebate post-closing. As you’ll learn in the following article, discretion is the single most important factor to consider when signing up for a Realtor rebate as the last thing you’ll want is to jeopardize your home purchase over a few thousand dollars! What Is a Realtor Commission Rebate? What Could Go Wrong with a Commission Rebate Service in NY? Can I Get a Realtor Rebate Directly in New York? What Can Go Wrong If I Try to Get a Real Estate Agent Rebate Directly in NY? Can I Get a Realtor Commission Rebate for Selling My Home in NY? A Realtor commission rebate, also known as a commission rebate to buyer or a real estate agent rebate, is a monetary incentive offered to home buyers by Realtors to encourage them to work with the Realtor on their home search. A broker rebate can take many forms and does not necessarily need to be a check or cash. A rebate could be a gift card to a popular retailer or even a physical gift like a flat screen TV! If you really want to be creative, it could even be a complimentary cruise vacation package paid for by the buyer’s Realtor post-closing. However, a home buyer rebate is usually just a check for a portion of the commission paid to the buyer’s Realtor. The rebate check is usually mailed to the buyer immediately after the Realtor’s commission check has cleared. Because money only changes hands post-closing and because the buyer’s Realtor has exercised discretion in providing the rebate, no one except the buyer and the buyer’s Realtor will know that the buyer got a better deal! Note: This only works if the buyer’s brokerage is a brand name, full-service real estate firm that does not normally or openly discount. 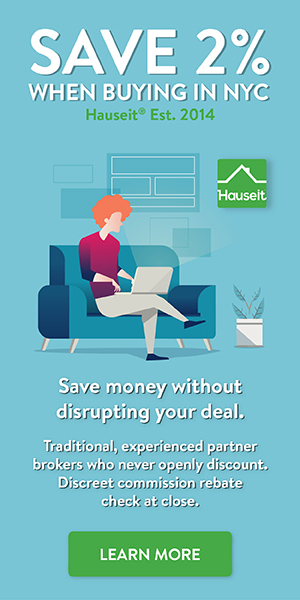 Fortunately, all Hauseit broker partners are locally based, brand name, traditional real estate brokerages with great working relationships with the wider broker community. Beware of unprofessional mom and pop rebate brokers who think just by barely having a broker’s license means they should be advising first time home buyers about one of life’s most important transactions. It doesn’t take much brain power for even the dimmest listing agent to find out what most of these shady one man operations are up to. Every listing agent will Google an unfamiliar buyer’s Realtor upon first contact. Most of these amateur discount brokers are busy slandering the traditional broker community on their template websites or in online forums. Unfortunately for these shady rebate brokers, you need cooperation between a buyer’s agent and a listing agent to complete a transaction. How well do you think the average mom and pop rebate broker is going to do when over 96% of all listing are managed by traditional listing Realtors? How do you thing the typical listing Realtor is going to react when they realize that the buyer’s agent “cheated” to get the buyer as a client? And that not only is this shady rebate broker going to try to split the listing broker’s commission in half, he’s been slandering traditional Realtors the whole time? Lesson: You do not bite the hand that feeds you in real estate or in life. If you or your spouse happens to have a broker’s license, should you try to secure a co-broke for yourselves directly? This is something that lawyers who also happen to have an unused broker’s license often think that they can do. However, these lawyers are usually not active real estate brokerage practitioners and are often not a member of the local Realtor association or MLS. As a result, they often learn the hard way that Realtors are not obligated to split commission unless there is a pre-existing agreement between them, such as your typical MLS co-brokerage agreement. Therefore, even though the listing agent must honor the buyer’s right to choose their own agent representative, the listing Realtor need not split commission with the buyer’s agent unless they have a pre-existing commission agreement in place. Because the lawyer in our example is not a member of the local MLS or Realtor organization, he will not have any existing co-brokerage or commission sharing agreements in place! We’ll go over a real world example of a buyer whose husband was a lawyer with a broker’s license who managed to get the seller and listing broker to agree to a 50% co-broke. Unfortunately, this direct Realtor commission rebate scheme became ingrained in the seller’s mind and caused resentment throughout the process. The seller always resented the fact that the buyer was getting a better deal, and took any opportunity to try to shop the buyer’s offer to other competing buyers. Eventually, the seller held a best and final offer auction process, and even though the buyer won by improving $10,000, the seller was still not pleased. The seller ended up letting a neighbor purchase the apartment instead at a slightly higher price without giving our winning buyer a chance to improve. All of this happened because the seller knew that the buyer was getting a better deal and resented it. This is another example of why it’s crucial to work with a buyer’s agent who will discreetly provide you with a rebate. There are simply too many negative outcomes if the listing agent and seller are working against you throughout the process. Your home purchase is too important to jeopardize over a few thousand dollars! You don’t need a real estate agent rebate if you’re selling a home because you can negotiate the commission in advance of signing an Exclusive Right To Sell Listing Agreement. Similarly, you want to be careful about signing up with your typical flat fee Realtor who has given up entirely on maintaining any sort of brand image or reputation. Most flat fee Realtors will base their entire business models on volume and earning as many upfront flat fees as possible. They won’t care about the efficacy of their product nor will they care about working well with other brokers. Unfortunately, you need the cooperation of other agents as well when you’re selling your home in New York. It’s exceedingly easy for traditional Realtors to tell what your average flat fee Realtor is up to. Frankly, most flat fee Realtors do not even attempt to hide at all what they are doing. Worse, most of them try to make it as obvious as possible to even the most oblivious traditional agent what their business model is. Case in point, most flat fee Realtors watermark all of their images with the name of their company. Unfortunately for home sellers, the flat fee Realtor’s company name is often highly offensive loaded with phrases such as “Realtors no more” or “owners only” etc. How do you think your typical buyer’s agent is going to react when he sees one of the flat fee Realtor’s listings? Unfortunately, boycotting is a very real thing in real estate even though it is illegal under U.S. anti-trust laws. It’s very hard to police traditional Realtors who may direct their buyers to other listings for any number of plausible reasons. That’s why it’s more important than ever to not jeopardize your home sale with your average flat fee Realtor. Openly discounting has been around for as long as there have been real estate brokers, and there’s a very good reason why it’s never taken off. Instead, join the underground For Sale By Owner movement happening right here in New York and sell your home through an Agent Assisted FSBO!